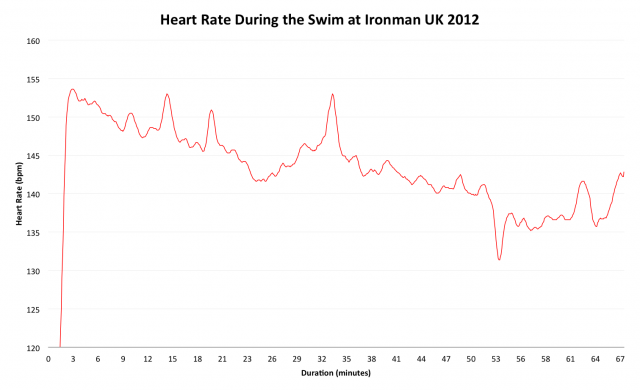 One thing leads to another, and following Wednesday’s case study, Roger Canham, 45-49 age-group winner at Ironman UK, sent me his race data to examine. 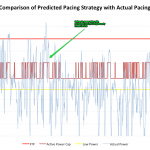 Again I have heart rate data from swim through to finish – no problems with limited memory this time – and while not quite as detailed as the seven page report my athlete provided I also have a good overview of how his day progressed. Sufficient information to breakdown how a well-trained age-group winner races and, should time allow, contrast this with my own athlete aspiring to perform similarly in the future. Roger does not have a swim background so, unlike my athlete, his relative performance is far more dependent on pool time. He’s not a weak triathlon swimmer by any means, but exits the water roughly ten minutes behind the front-of-pack. The only compensation for this loss of time is the added motivation of the chase – reclaiming those places on the bike and run. 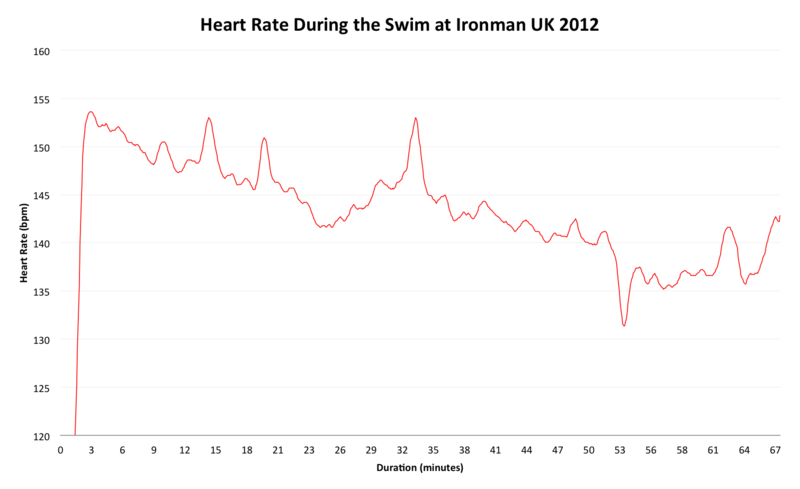 Having commented on a general lack of swim heart rate data, I now have a second set to look at and a different pattern to the previous example. Starting high – race adrenaline – as did my athlete, but then a much stronger drop off to what should be a very steady effort level for the last 20 minutes. I suspect (and would be interested to see more data to support it) that this would be a typical difference between front-of-pack and mid-pack swimmers – faster swimmers better able to sustain a higher proportion of their threshold. Interestingly while heart rate drops race splits suggest Roger’s second lap was faster; mismeasured timing mats or more relaxed technique? Bike and run performance are quite balanced, Roger is strong in both. Unfortunately, much like me, he’s not particularly keen on threshold tests, the most recent accurate data point is a December Functional Threshold Power (FTP) of 310 Watts. After six months of training – assuming it was appropriate – it is probably higher, but lacking certainty I used 310W in the model to see how the numbers compared. 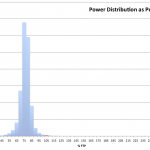 Confident in his strengths on land Roger specifically targeted 80% of his FTP, or 250W, for the bike; it’s the higher end of Ironman racing, but he’s repeatedly demonstrated the fitness to perform at this level. 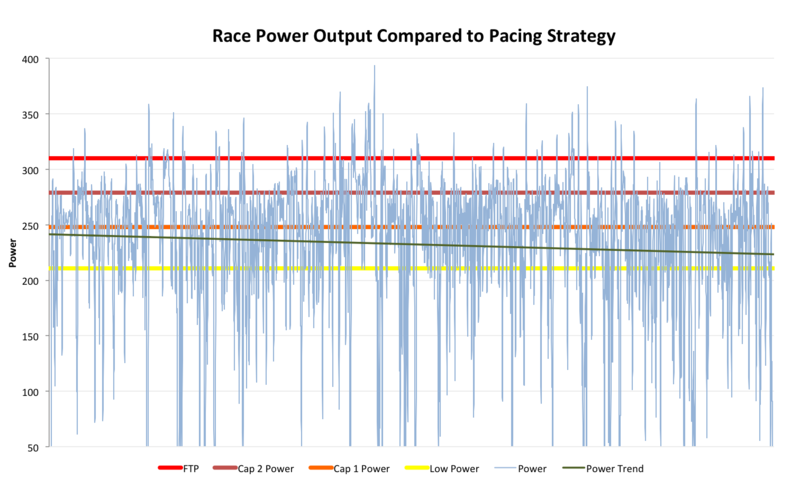 As my pacing chart below shows, there is a drop off in power, but he trends below that 80% line throughout. Power is perhaps a little variable (VI of 1.0, not bad in Bolton), but I would be hard pressed to say with certainty that he could have adopted a better strategy. We can be sure Roger has routinely trialled this pacing in training and of course has ample race experience to back this choice. I suspect his FTP is higher than the estimate I’ve used, which obviously lowers the relative intensity, but it would take a value around 340W to bring intensity below 75% and Training Stress Score (TSS) below 300. It would be interesting, if he can be persuaded, to produce a more current estimate of FTP. 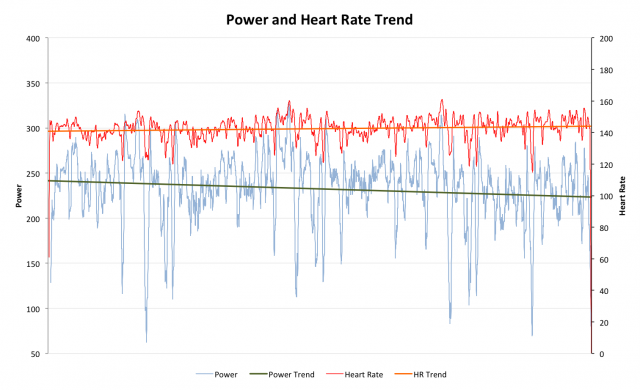 An additional point to consider while looking at the power output is how rock-solid his heart rate, the graph below shows no fall off over the 5:35 split. By transition Roger has overtaken my athlete, but both look to be having good races. The run is where that changes. 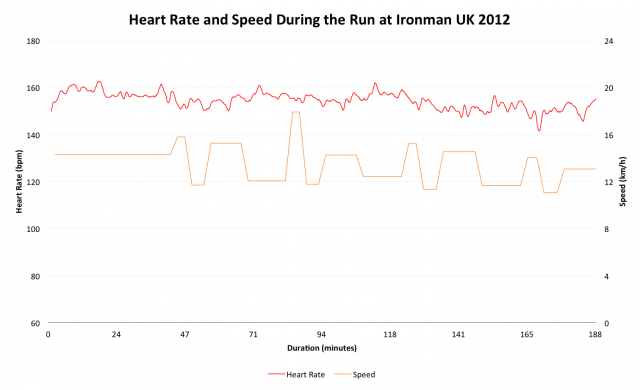 Roger slowed over the course of the marathon as the graph below shows, but he never succumbed to the level of breakdown my own athlete did. 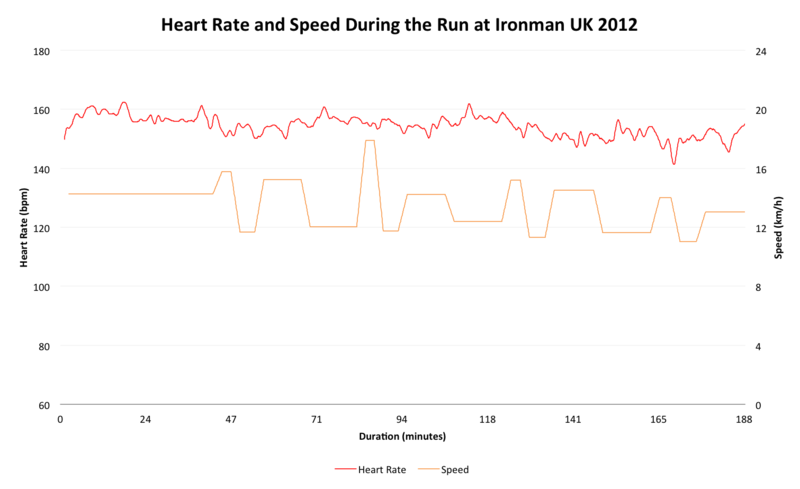 I would estimate a relatively modest decline in speed in line with the gradual decline in heart rate, at least based on the imprecisely placed timing mat measurements. 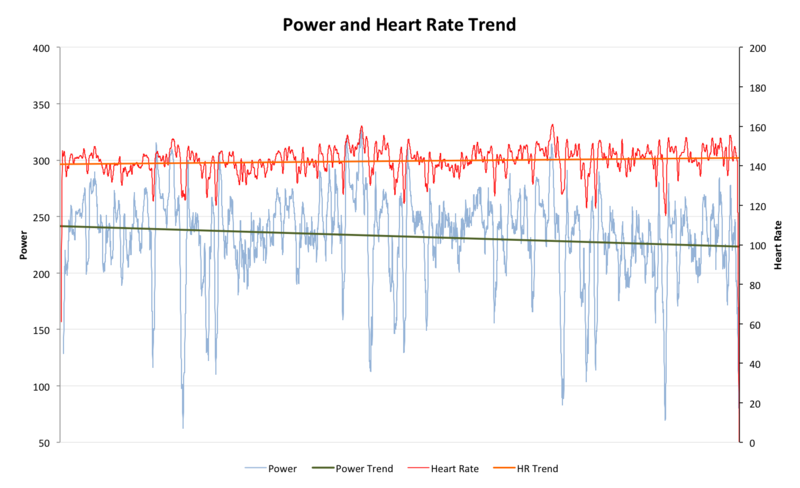 Roger’s notes mention the final lap being harder, and there is a plateau in heart rate around that point, like he’d found a steady state for the rest of the day. Steady here meaning a 3:08 run split. Roger put together a well paced race based on experience and a strong feel for his capabilities (run and swim were executed by feel). 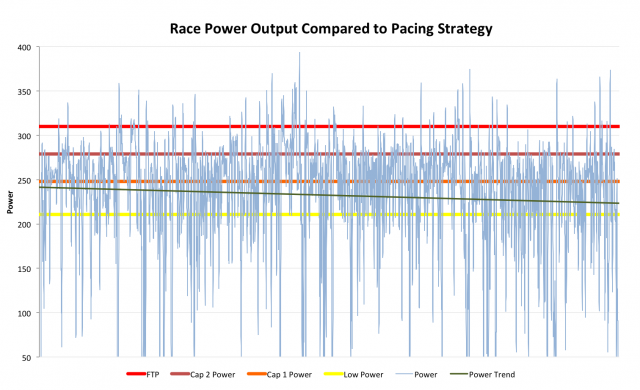 Pacing guidelines are a generalisation as his ability to work outside them demonstrates; it emphasises the importance of testing your strategy in training and learning how Ironman pacing feels. My athlete raced more conservatively, but ultimately struggled towards the finish, pacing alone might suggest a better result, but of course the depth and history of training comes into play. Focussing on run training, the topic of the initial case study, besides a longer history throughout the majority of their respective builds Roger averaged double the weekly run hours my athlete managed. Depth of training clearly plays an important role. 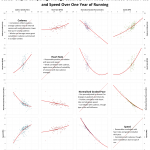 Thanks to Roger for providing this data, always interesting to see how athletes are racing from the front to the back of the field. 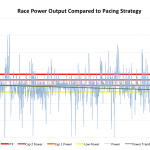 He’s long suggested I should develop a race/power analysis service alongside my coaching, I continue to ponder this idea. I do intend to utilise more of my athletes’ data and, with their permission, incorporate it on the site. Also, I am interested in building my race data reference library and would be keen to see data from others; I cannot guarantee a response (paying clients take precedent and it depends on numbers), but if you have a good data set for a race and are willing to potentially have it discussed on this blog, drop me a mail.